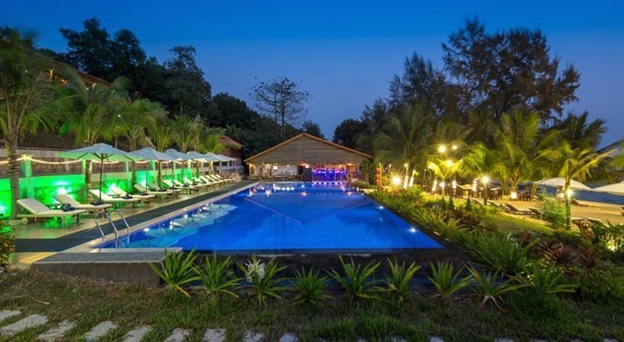 Mango Bay Resort spread over 20 hectares, on Ong Lang beach, surrounded by deep green forests, fresh air with that rare place to be, really a point ideal, can not be ignored in the journey to visit the beautiful island of Phu Quoc. Coming to the resort, you will have the opportunity to enjoy delicious seafood dishes, and especially young sea air mingled with water alone, with wild nature. You can enjoy a swim, or dive under the sea, or stroll along the pristine beaches catch the cool breeze, watching everything around. The resort consists of 15 bungalows, built with a special material, feels familiar, idyllic. All columns, truss, windows are made of wood, forest leaf-roofed, concrete floors, walls, molded earthenware. More particularly inspired bathroom is the sun and wind, creating unforgettable feeling for anyone staying here. Long Beach Resort Phu Quoc, one of the 4-star resort in Phu Quoc owned by Berjaya Hotels and resorts, with 75 comfortable rooms, high-end, front desk and security services work 24/24 , information desk services for leisure / tourism, car free airport pickup, meeting and conference rooms, in-room dining service 24/24, housekeeping, and a wake. 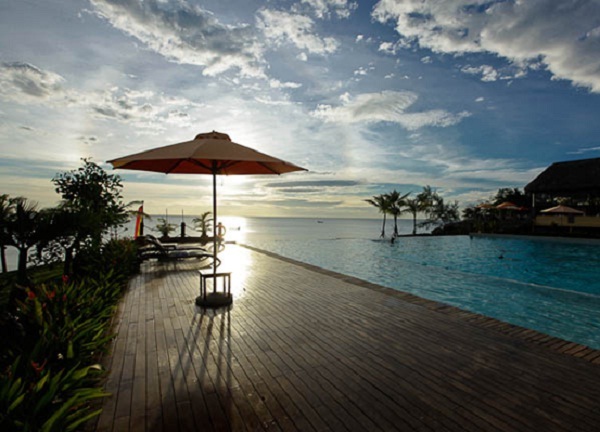 Long Beach Resort also has excellent culinary services; Restaurant Village I serve international cuisine with a combination of cooking of Indo – Asia and Europe. Ancient architecture nostalgia, distinctive style and traditional classic Vietnam’s Phu Quoc Long Beach Resort, we are sure that you will have a deep impression, and new experiences and differences also as special affection after her vacation. Owning a natural forest and a coastline stretching 600 meters, Sea Sense resort is a paradise, offering guests privacy and absolute comfort. 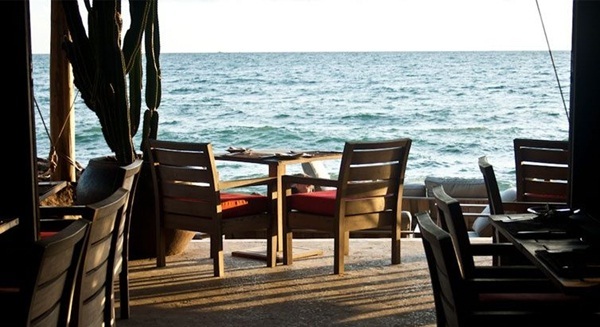 Relax at the patio to listen to the surf on sand or sit perched while enjoying the seafood specialties and eye camps toward the sea, there is nothing to equal it. No pollution, no hustle and absolute peace, only sunshine wake you up every morning. Come and train with nature.